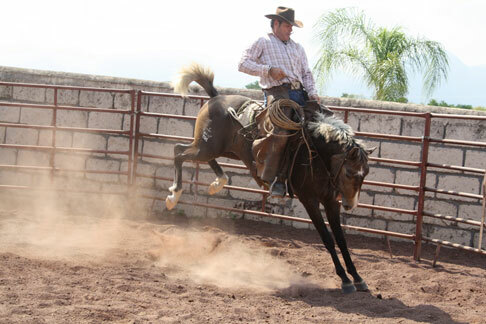 Born & raised in South Guatemala with American & Guatemalen citizenship, Jose has been around horses his entire life. He grew up on his grandfather's ranch were his job was starting thousands of colts. Jose had the good fortune to learn from old-time horsemen of his native country. 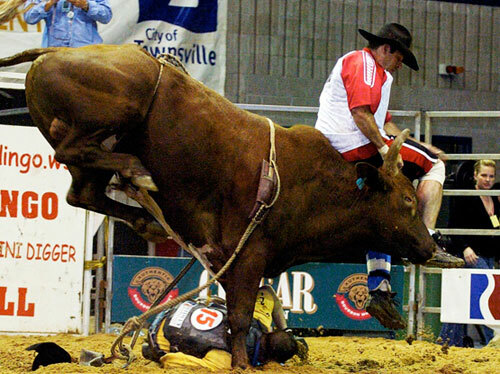 He earned his bachelor's degree in Animal Science at USAC and was a PBR cowboy protection bullfighter for 13 years. As a commentator for the Telemundo (the American television network that broadcasts in Spanish), Jose traveled all over the world. This gave him the opportunity to learn from many horsemen with varying ideas & experiences while, in turn, sharing his own system. Working different areas in Mexico eventually brought Jose to La Silla, where he currently continues to start the majority of their young horses each year. Through his association with Linda Allen, Jose began working with the young horses at Maplewood in Reno, NV. Through Julie Winkel, Jose travels around the country giving colt starting clinics as well as dealing with and helping problem horses. Did your horse fail charm school? Does he ignore your personal space or get mouthy when you have to handle him from the ground? Learn Jose Alejos’ methods to earn respect from your equine partner. Witness the progress of Nikki, a young mare with a history of being impossible to shoe behind. In this two part topic, Jose Alejos uses his years of experience as an expert horseman to instill her with trust and confidence. His techniques are humane and the atmosphere he creates with the horse is calm and reassuring. While Jose makes it look easy, don’t try this at home. For anyone who has endured the frustration of a horse that won’t load, this video is a must see. Jose Alejos has a refreshing approach that fosters confidence and calmness in both the horse and the handler.